The president plans a series of events next week to highlight his effort to modernize American infrastructure. WASHINGTON – President Trump is launching a major push for a $1 trillion overhaul of the nation’s roads and bridges, a key item on his agenda that’s been stymied in Congress and overshadowed by White House controversies. Trump plans a series of events this coming week to highlight his effort to modernize American infrastructure – the highway, waterway, electrical and airway systems on which the nation operates. His campaign for public and private funding for the projects is expected to run from the Rose Garden, where he’ll speak about upgrading air traffic control, to Ohio and Kentucky on inland waterways and through meetings with mayors, governors and Transportation Department officials. The Trump administration has struggled to gain traction on many of its economic policies. Job growth has slowed in recent months instead of accelerating as the president predicted. Trump has said he has tax legislation moving through Congress but his effort has been stalled and no bill has been written. His budget plan released during his foreign trip included math errors that enabled the White House to falsely claim that its tax plan would deliver both faster growth and a balanced budget. Trump’s agenda has been overshadowed by ongoing probes into whether Trump campaign officials or associates colluded with Russian officials to influence the 2016 election, as well as scrutiny over Trump’s firing of FBI Director James Comey – who is scheduled to testify on Capitol Hill on Thursday. And other policies on the agenda, such as health care and taxes, come first on a fast-closing legislative calendar. 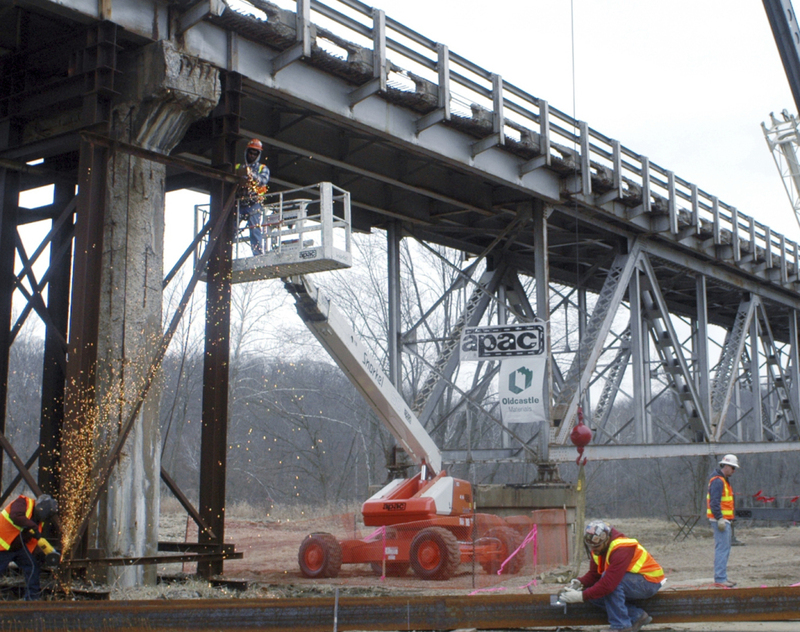 But modernizing the nation’s infrastructure remains a challenge with broad public support. Trump’s push to revamp deteriorating roads, bridges, airports and railways aims to unlock economic growth and succeed in an area where his predecessor, former President Barack Obama, was repeatedly thwarted by a Republican-led Congress. “It doesn’t matter who you are, whether you are farmer in the Midwest, or a mother driving your kids to and from school, or a worker or a college kid flying back and forth to school, you’re affected by infrastructure,” said White House economic adviser Gary Cohn in a conference call with reporters. Trump on Monday is set to outline his legislative principles for overhauling the air traffic control system, using a Rose Garden address to propose separating air traffic control operations from the Federal Aviation Administration, a key priority for U.S. airlines. The president plans to travel to Ohio and Kentucky on Wednesday to address ways of improving levies, dams and locks along inland waterways that are crucial to agricultural exports. His visit is expected to include a speech expected to touch on partnering with states and local governments. Cohn said governors and mayors are scheduled meet with Trump at the White House on Thursday for a listening session focused on the efficient use of tax dollars for infrastructure projects. On Friday, Trump will visit the Transportation Department to discuss regulatory changes related to roads and railways. Trump has noted that the approval process for permits frequently can drag on for a decade and has pressed to shorten the length of the review process. Trump’s focus on infrastructure follows the government’s monthly jobs report, which showed hiring slowing down in May. The economy has added an average of 121,000 jobs over the past three months, down from a monthly average of nearly 187,000 last year despite Trump’s promotion of his economic prescriptions. On infrastructure, the administration has pointed to plans for a package of tax breaks meant to help spur $1 trillion in new spending on roads, bridges and other construction during the next decade. It also would drastically shortening project approval times. According to Trump’s budget proposal, the funding would come from $200 billion in tax breaks over nine years that would then – in theory – leverage $1 trillion worth of construction. A senior White House official has said the infrastructure plan might also incentivize local governments to sell their existing infrastructure to private firms. But Democrats have warned that the Trump budget reduces infrastructure spending elsewhere, including cuts to Amtrak subsidies, the elimination of an infrastructure investment program started under Obama and a more than $90 billion drop-off in congressional support for the Highway Trust Fund over 10 years. Democrats have also been critical of Trump’s interest in forging public-private partnerships instead of more traditional spending on infrastructure projects. At the same time, many conservative Republicans have been wary of the idea of a massive government investment. And with Republicans in control of Congress, Democrats have shown little appetite for working with the president as he faces inquiries into Russia and takes a combative approach overall, from Comey’s firing to the withdrawal from the Paris climate agreement.